Montagne Jeunesse Face Mask Reviews: Battle of the Face Masks! Disclaimer: Products featured are provided for review. 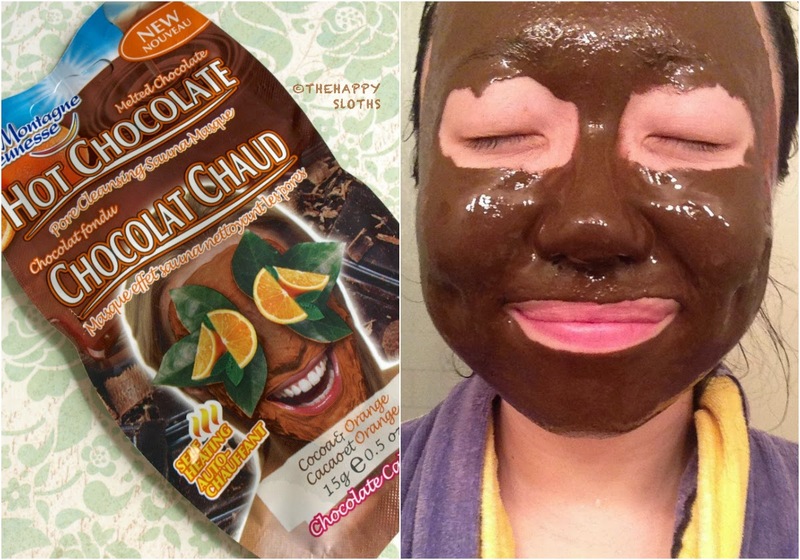 The smell of this yummy chocolate mask is the first thing I noticed. It smelled exactly like chocolate sauce. It took a lot of self-control to not lick the mask off of my face! The self-heating feature is the next thing that hit me. The heat is actually quite potent and lasted for almost a good minute. 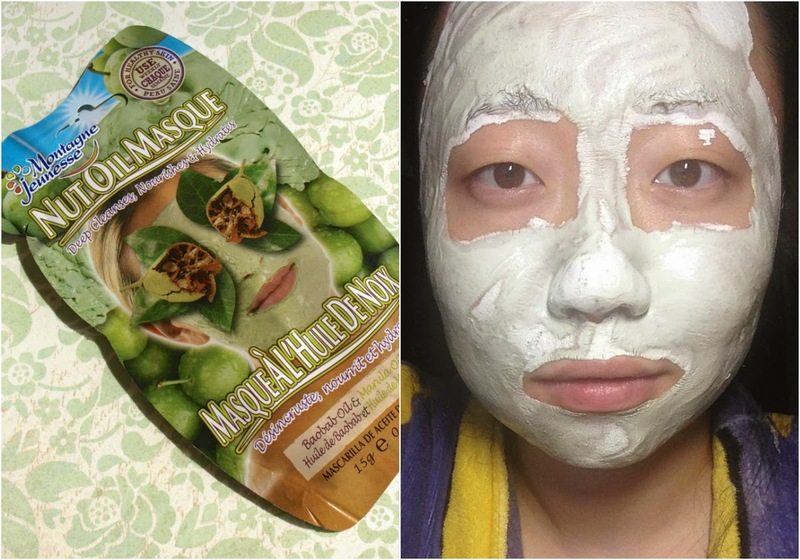 It is the strongest self-heating mask I have ever tried! The warmth was really relaxing. The mask left my skin feeling very soft and supple. The clean-up was a tad messy but I didn't mind because it smelled so good! This one is a very traditional mud mask that's not too drying. It made my skin feel very tingly and fully set within 20 minutes. It left my skin soft and cleansed without any tightness (do note that I have combination to oily skin). The fruity scent is also very pleasant! This mud/sheet hybrid mask is a new release from Montagne Jeunesse delivers the benefits of a clay mask without the mess. 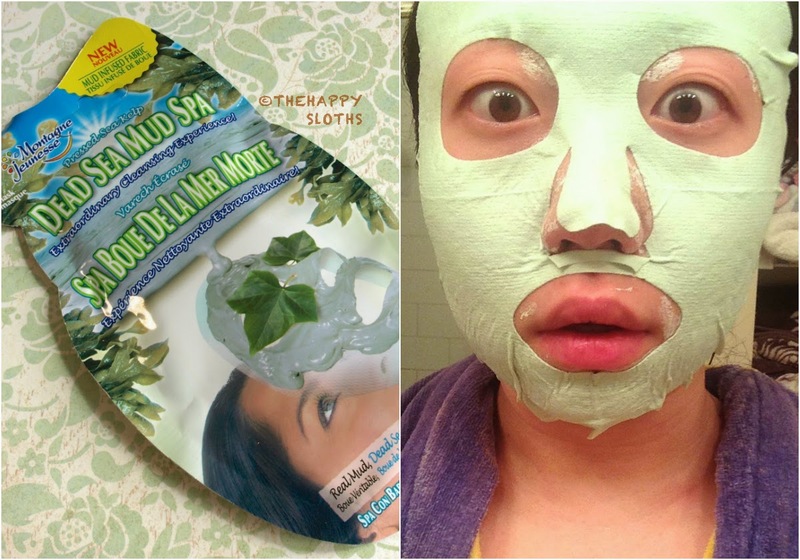 The mask comes in a sheet form that's infused with the mud mask. It made the skin tingly and left the skin feeling soft and supple. I personally was not a fan of this sheet clay mask because it honestly didn't feel like there was a lot of product in the sheet mask. Though the clean up was substantially easier I prefer the traditional clay mask because it came with a lot more product. This face mask had a very strong tingly sensation on the face, which convinces me that it's not for those with sensitive skin. 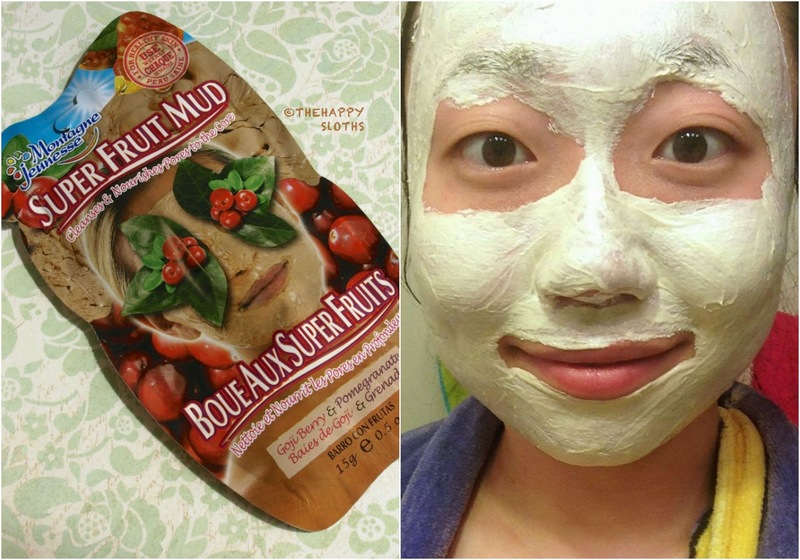 For someone with combination/oily skin, the mask left the skin feeling super refreshed! And I absolutely love how there is no clean up required as the mask peeled off in one perfect piece! I also really like that it removed a lot of dead skin cells. Out of all six masks, this one had the least amount of product in it (12g vs 15g) and as a result, I couldn't cover my face evenly with the product. 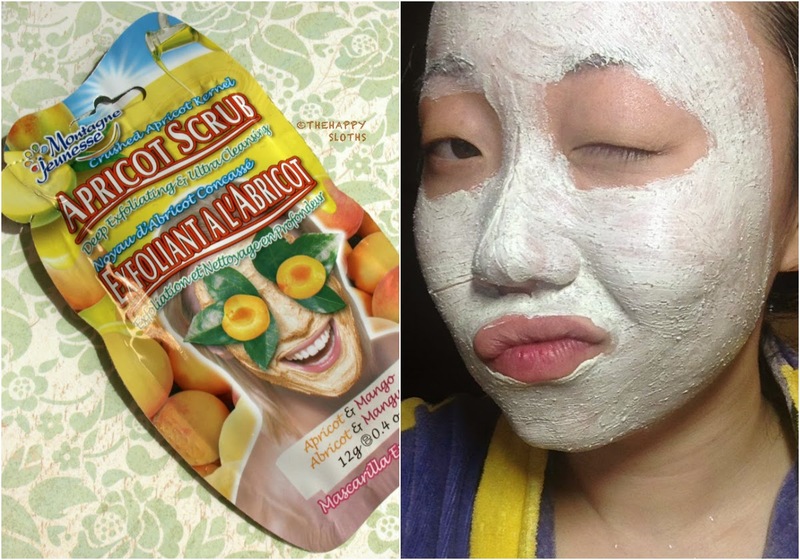 This scrub is very similar to the St. Ives Apricot Scrub and I didn't really get the mask aspect of the product. It smelled very mango-y so was that very nice. But overall I wasn't impressed with this one. With a yummy scent that reminds me of caramel coffee and peanut butter cookies, the smell of this mask alone makes it worth trying. This, like the Super Fruit Mud Mask, is a traditional mud mask that makes skin feels a bit tingly and sets within 20 minutes. It draws out dirt and oil from the pores and leaves the skin feeling super clean! 1. 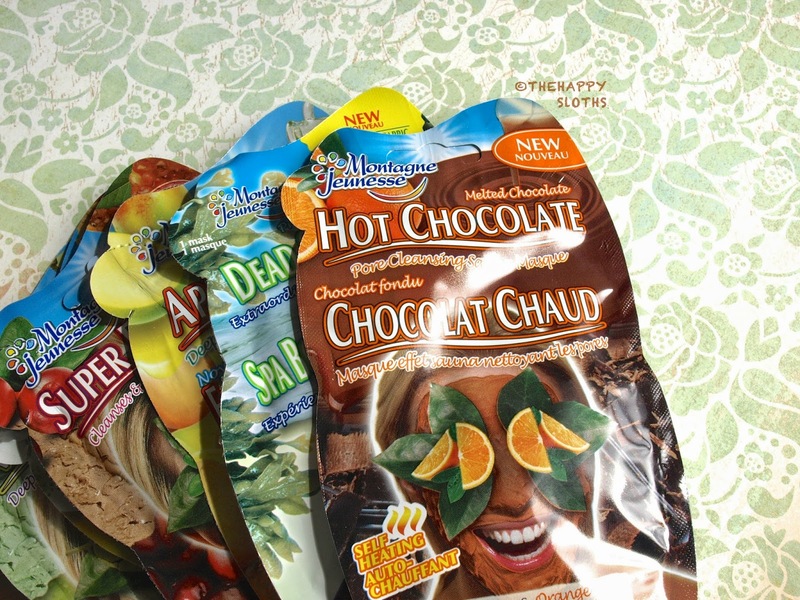 Hot Chocolate Self Heating Face Mask -Definitely will be purchasing a few! 2. Nut Oil Face Mask -Definitely will be purchasing a few! 3. 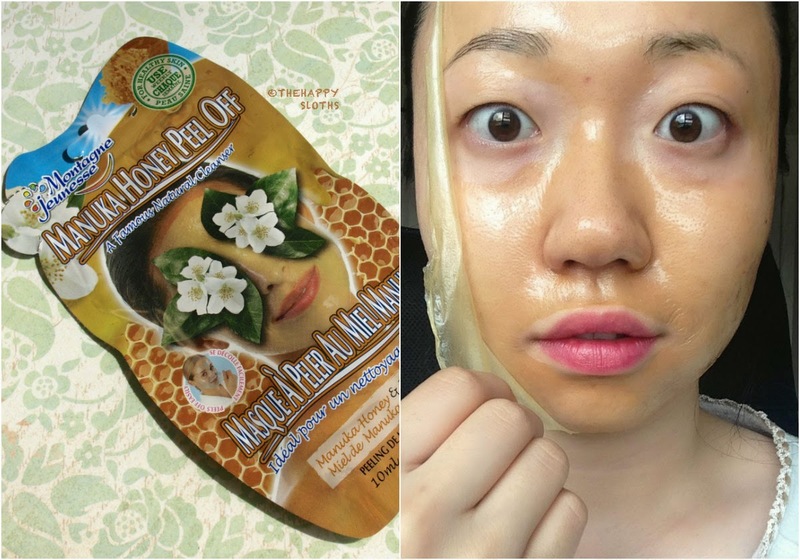 Manuka Honey Peel Off Mask -Definitely will be purchasing a few! So there you have it, the Battle of the Face Masks. Overall, I really love the single use concept of all of these masks. All except for the Apricot Scrub Masks includes more than enough mask to cover the entire face so that's a definitely plus given each mask ranges from $2 to $2.50. Montagne Jeunesse Face Masks are sold online at FarleyCo and in stores at London Drugs, Walmart, London Drugs, select Jean Coutu, Pharmasave, and Uniprix. 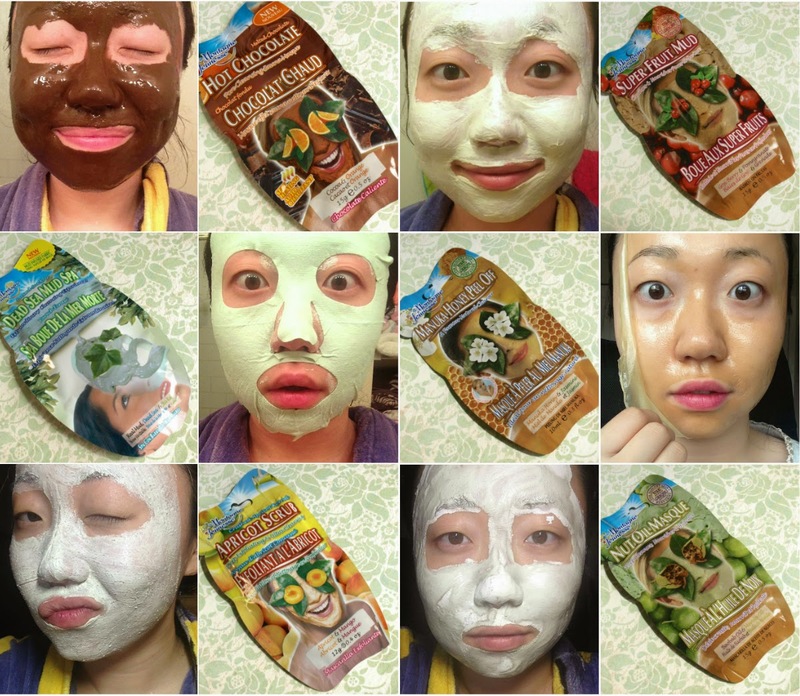 Which of these masks are you most interested in trying? Let me know in the comments below!